McLeod Health extends its service excellence in the compassionate care McLeod Volunteers provide everyday to its patients and families. 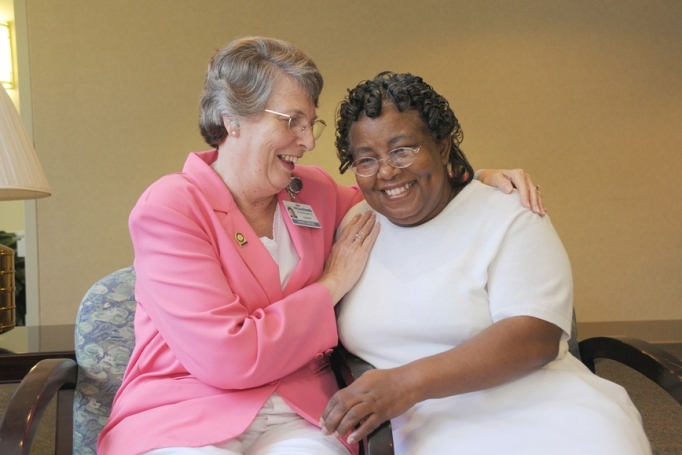 McLeod Volunteers contribute nearly 40,000 hours of support throughout the hospital each year. Through their compassion, dedication and servant’s heart they play an important role in making a difference in the lives of the hospital’s patients and staff. Consider sharing your gift of time and talents to benefit patients, families and staff at McLeod. Volunteer placements are available at reception desks, critical care waiting areas, gift shops, the Cancer Center, Children’s Hospital and many other departments. McLeod Health is always looking to add volunteers who desire to be a part of a team who cares and wants to truly make a difference. To learn more about becoming a McLeod Volunteer, call (843) 777-2082 or visit https://www.mcleodhealth.org/services/community-involvement/volunteers/.